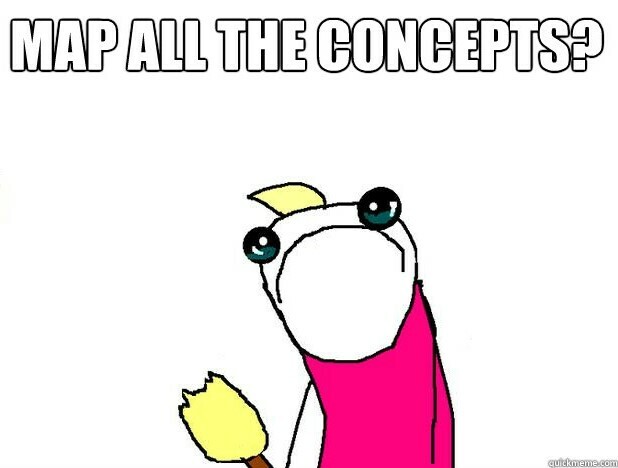 Have you ever found yourself awake at night, worrying about how to make a concept map? Oh good, neither have we. Concept maps are actually pretty simple. All you have to do is . . . Exactly. And with Lucidchart, it’s a cinch to make one. 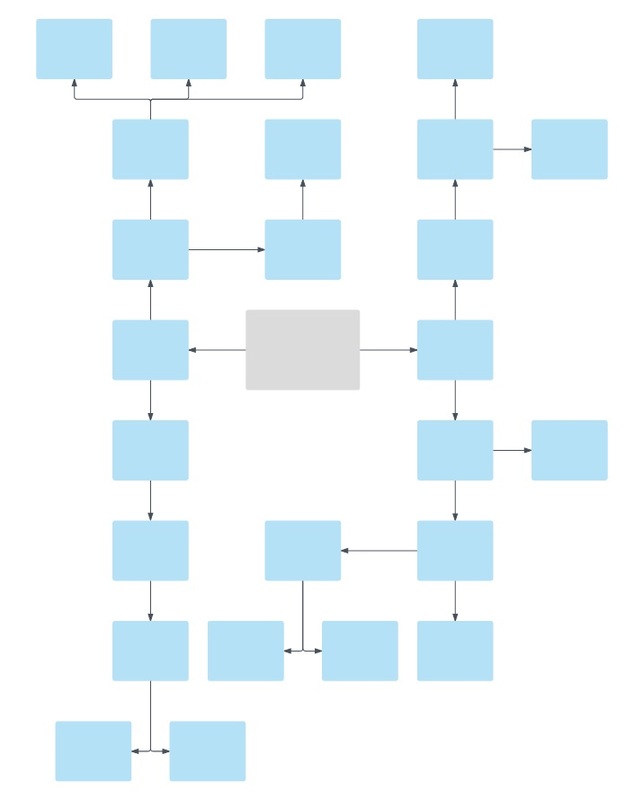 In concept maps, concepts are most often depicted as circles or boxes joined by lines or arrows containing linking words to show how ideas are connected. It’s pretty self-explanatory and may seem somewhat banal, but professionals in schools, businesses, and hospitals frequently use Lucidchart to build concept maps for critical thinking and solving complex problems. 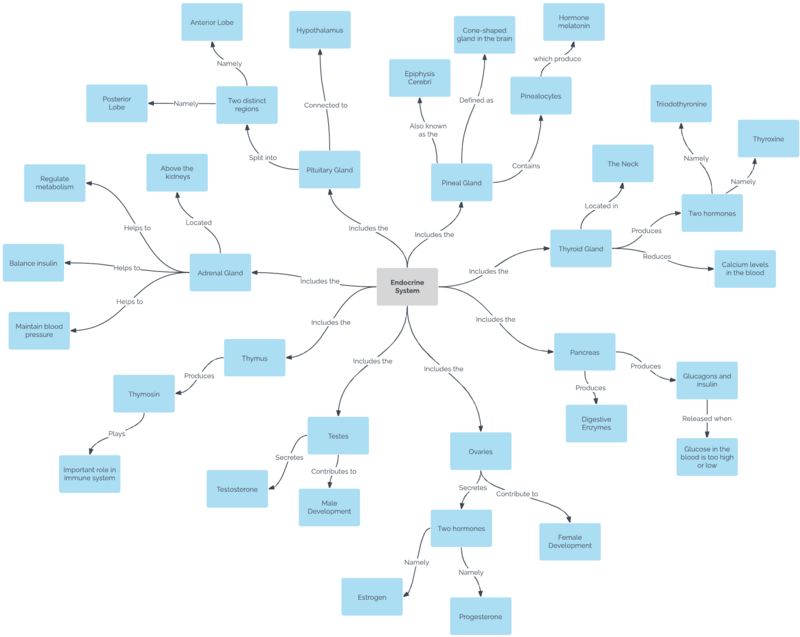 Ready to build your own concept map? Try using this template for a concept map to get started! 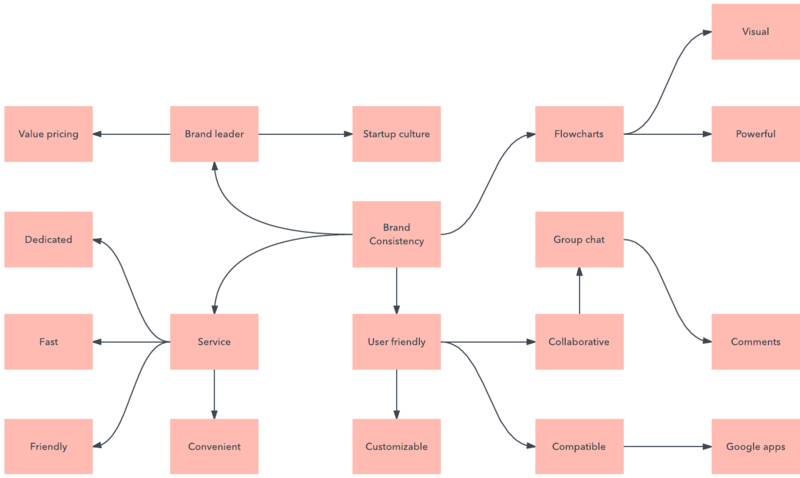 This guide will walk you through the steps of building your own concept map in Lucidchart so you can be prepared for your next big exam, business meeting, or patient appointment. Pick a medium in which to draw your concept map. Some people prefer pen and paper or a whiteboard canvas, while others use online software specifically designed for the task. 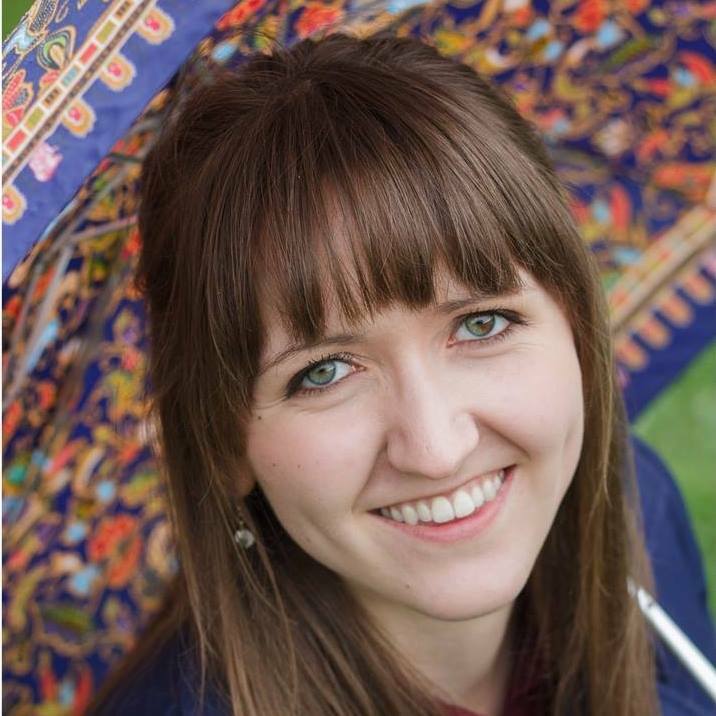 One advantage of the latter method is that your information is saved in a digital format, so it’s easy to share and edit. You can choose between downloaded software that runs on a single computer or cloud-based tools that are available on any Internet-enabled device. For the purpose of this guide, we’ll proceed as though you’re using Lucidchart. You can get started with Lucidchart's concept map templates. When your concept map is complete, try exporting it as an image file or sharing it online. Begin with a domain of knowledge that you’re very familiar with. Determine a central idea that connects to all other ideas on your map. If you’re not sure where to begin, try identifying a portion of text, a classroom activity, or a tough problem that needs solving. It might be useful to create a single question, sometimes called a focus question, that clearly specifies the problem or issues the concept map will help resolve. It’s important to build a concept map that consistently leads back to that question and its answer. Now that you’ve selected a main concept, the next step is to record associated concepts. Think about related ideas and list them on the page. This list is also known as a parking lot and usually consists of around 15-25 key concepts. Describe each concept as briefly as possible; usually one or two words per idea will suffice. Keeping your descriptions concise will prevent your map from becoming bloated and text-heavy. In Lucidchart, the simplest way to record these ideas is with standard flowchart shapes. Pick a shape that you like—most people use boxes or circles—and then drag it onto the canvas. Double-click the shape to add text. Order each of your concepts in a hierarchical format, with the most general ideas at the top of the list and the most specific ones at the bottom. You can drag the shapes into an actual list or simply arrange them in the approximate order in which they will appear once the diagram is finished. Your concept map will take form as you connect shapes with lines and pinpoint the correct location for each idea. Remember that concept maps typically have text, or linking words, written on each line. Linking words are useful for clearly defining the relationship between a general concept and more specific ones. The text might include a specific verb like “provides” or “encompasses.” To enter words on a line in Lucidchart, just double-click the line and start typing. Once you’ve created this preliminary concept map containing the basic links, add cross-links to illustrate relationships between different domains. Does every element fit well in its respective place? Is there a better position for this idea or group of ideas? Can I use a more accurate linking word to represent this relationship? Rigorous questions like these will help you improve cognitive performance and challenge your knowledge on any given subject. Remember this is a preliminary map that will likely need revising. Small adjustments in links and positions are particularly easy to make when using an online software program. Lucidchart makes it simple to rearrange shapes on the page, add supplementary notes and comments, and even apply attractive styling to your diagram. With Lucidchart, you can easily create organized concept maps and other specialized diagrams, right in a web browser. Start a free trial and see for yourself!